Have a question about Habbox? Read here! [Feedback] Help us pick VIP colours! Habbox stats - reactions & questions! Have your say on new forums & subforums! What are your favourite HxSS memories? 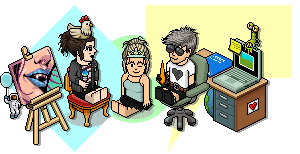 [Habbox Birthday] Memories of 15 years!